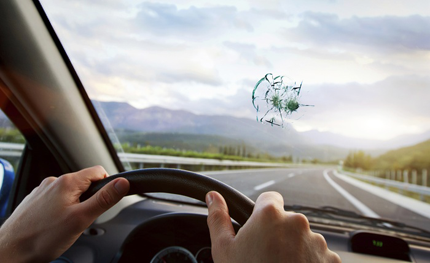 When you first reach out to Express OC Auto Glass, our staff will work with you on confirming the type of glass that needs to be ordered to fix your auto’s windshield when you are in need of a windshield glass replacement service. We know how to pay attention to detail, and will go into fine detail to make sure we get the exact right replacement glass that will be a perfect fit to the frame of your car, truck, SUV, or van for the best auto windshield replacement cost. Then, we will make a service appointment with you that is at a convenient time, date, and location for your busy schedule. If you need to have our team show up as soon as possible, then just ask. Many times, we will have a repair team available on short notice to help you get your automobile back to a drivable condition sooner rather than later. We have found during our more than 10 years of being in business, that our customers will be extremely stressed out when they realize that their automobile is just not safe to drive until they get the service complete. We aim to reduce or eliminate this stress, and you will be happy with the overall quality of service that we deliver for the money. In the event you are also dealing with issues with your automatic windows, we can also complete a premium window regulator repair service for you during the same or a different visit. If you have any questions regarding the auto glass repair or replacement processes that we use, please give our staff a call today. We are always available to help answer your questions, and our company policy is to always provide free estimates to our prospective customers. We look forward to working with you.